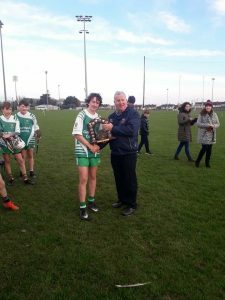 Scoil Ruáin romped to a surprisingly facile win in the replay of the Sciath Uí Chatháin final in Dr. Morris Park on Monday of this week. The sides had finished deadlocked on 1-11 to 3-07 after extra time in the initial instalment on October 23rd and another cracker seemed in prospect but, as often happens, the replay failed to live up to the expectations envisaged in the drawn game. Played in excellent conditions for the time of the year, a slight cross-field wind favoured Borrisokane in the first half but it was Scoil Ruáin who settled quickest with a point from a Sam Rowan free in the fourth minute following a foul on Brandon Ryan-Webster. Borrisokane replied with a point from their accomplished midfielder, Ciarán Foley, in the seventh minute but, remarkably, this was to prove the Northern outfit’s only score of the game. Another Rowan free in the ninth minute was followed by points from the industrious Alex Greene (19th minute) and a brace from Brandon Ryan-Webster, one from a free, in the 20th and 21st minutes. This gave the South Tipp side a four point cushion at half time in what was a closely fought encounter up to this juncture, the Borrisokane rear-guard providing stiff resistance to relentless Scoil Ruáin attacks. 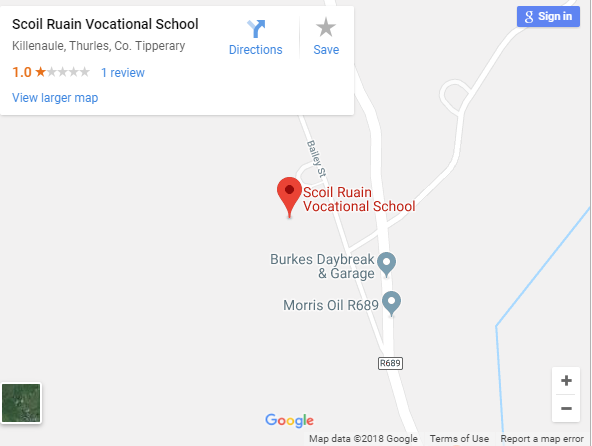 Scoil Ruáin’s dominance stemmed from a water-tight defence in which Finn Nolan and Fionn Fitzgerald were outstanding in the central roles, with the four other defenders also to the fore. The Southerners’ midfield partnership of Sam Rowan and Cillian O’Halloran also held the whip hand over their opponents, providing a steady supply of ball to a forward division that struggled to make inroads against a sound defence well marshalled by impressive full-back, Eamon Raleigh, and centre-back, Sean McGrath. Scoil Ruáin started the second half brightly with nice points from play from Eoin Treacy, Alex Greene and the excellent Sam Rowan in the 5th, 6th and 9th minutes. The killer blow arrived a minute later when dangerous full-forward, Brandon Ryan-Webster, fielded a high delivery behind the full back and flicked nonchalantly to the net. Brandon stuck for his second green flag five minutes later to put his team into an unassailable lead. 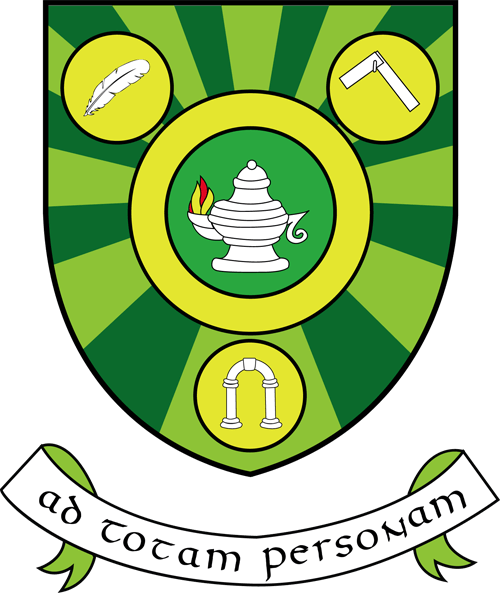 Borrisokane heads dropped understandably at this stage and Scoil Ruáin finished with fine points from Rowan and Matthew Direen. Substitute, Brian Corcoran put the icing on the cake with a late goal when the Borrisokane keeper could only parry a speculative shot from Darragh Linnane. One could only admire the work-rate of the Killenaule school all through. They beat their opponents to possession repeatedly and the hooking, blocking and harrying of opponents was impressive from players so young. While the Borris boys tried their hardest, they were continually frustrated by the tigerish tackling and smothering of the victors. This win augurs well for the future in the South Tipp nursery where the promotion of hurling has been a real priority in recent years. It is a credit to the defence that goalkeeper, Niall O’Connor, had so little to do. As stated Finn Nolan was soundness personified at full-back, ably assisted by Max Healy and Tom Smyth in an all-Killenaule rear-guard. Captain and centre-back, Fionn Fitzgerald led by example, breaking the hearts of Borrisokane with his interceptions and long deliveries. Evan Holohan and Jake Coen on the wings also caught the eye with some excellent defending. Sam Rowan gave a five star display at midfield and is another very exciting prospect from the Mullinahone club, while Cillian O’Halloran’s work rate was phenomenal. Brandon Ryan-Webster was the pick of the attack, where Alex Greene also impressed with his never-say-die attitude and all other attackers working their socks off. For Borrisokane this was a gut-wrenching defeat as they had come within a whisker of victory in the drawn game. Unfortunately, they were off-colour from the start and, despite the Trojan efforts of goalie, Ben Cahalan, corner-back, Jamie Coen, full-back, Eamon Raleigh, centre-back, Sean McGrath and Ciarán Foley at midfield, they never reached the heights of the drawn encounter. Scoil Ruáin: Brandon Ryan-Webster 2-02 (0-01 free); Sam Rowan 0-05 (0-02 frees); Brian Corcoran 1-00; Alex Greene 0-02; Eoin Treacy 0-01; Matthew Direen 0-01. 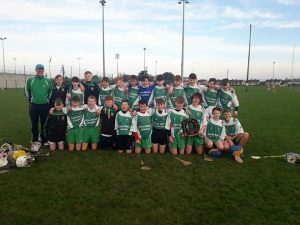 Scoil Ruáin: Niall O’Connor (Cill Náile); Max Healy (do); Finn Nolan (do); Tom Smyth (do); Evan Holohan (Naomh Pádraig); Fionn Fitzgerald (Cill Náile); Jake Coen (Fiodh Ard); Sam Rowan (Muileann na huamhan); Cillian O’Halloran (Fánaithe na Maoilig); Matthew Direen (Muileann na hUamhan); Darragh Linnane (Baile an Gharraí); Alex Greene (Cluain Meala Óg); Eoin Treacy (Muileann na hUamhan); Brandon Ryan-Webster (Gort na hUaighe-Gleann an Ghuail); Cian McCarthy (Fánaithe na Maoilig). Fir Ionaid: Brian Corcoran (Baile an Gharraí) for Alex Greene; Nathan Quinn (Naomh Pádraig) for Cillian O’Halloran; David Lawlor (Cill Náile) for Cian McCarthy; James Carroll (Cill Náile); Aidan Flynn (Cill Náile); Mark Maher (Cill Náile); Jacob O’Brien (Fánaithe na Maoilig), Luke Ryan (Cill Náile).